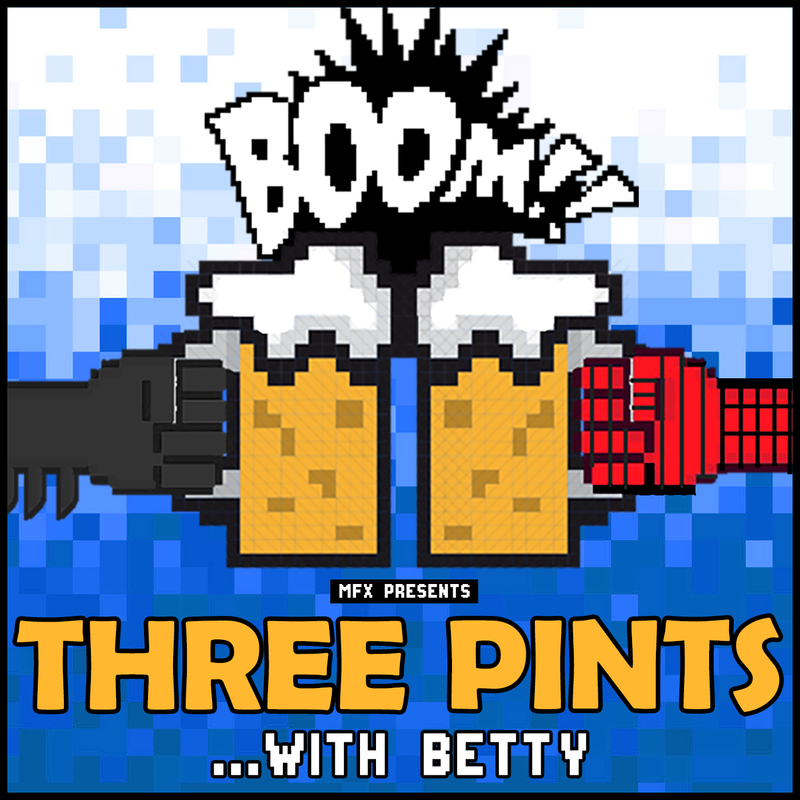 MFX: MFXtra: 3 Pints with Betty – Ep 1. Oh my, what the hell is this? A little MFXtra for you lucky people. It’s the debut episode of Duckman and Marc Abrigo’s new show – 3 Pints with Betty. It’s an excuse for them to reconnect as friends and also talk about nerd stuff that Sir Ian Trumps is too cool and busy to talk about on the regular MFX show. This is the debut show, so the training wheels are still on and Marc is calling in from a hotel in Vegas after a Back Street Boys concert (of course he is). But it’s a ton of fun, especially if you like silly jokes and giddy nerd chat. The premise of the show is simple – the lads each pick 3 nerd/sport/pop culture stories that have caught their eye during the week and then discuss them in a hopefully entertaining way. If they like the story it’s 3 pints, if they only think it’s ok it’s 2 pints and if they don’t like it, it’s a 1 pint affair. On the show this week it’s a variety bucket of stories, with talk about Star Wars spin-off movies, Daredevil season 3 and the canceled Marvel’s other Netflix shows, The Walking Dead, UFC and One doing the first fighter trade in MMA history, news on casting for DC’s Birds of Prey movie and Red Dead Redemption 2 and Spider-man on PS4. It’s a fun show, filled with nerd chat and plenty of laughs. Just the kind of stuff you’d expect when Duckman and Abrigo get together. So get ready to get your nerd on and sink a couple of pints with Duckman and Betty.